What attracted you to this play? Were you a Janeite before you became producer of this play? I would not consider myself to be a Janeite, but I have a deep respect for people who are Janeites. Everybody I meet either is or knows somebody who is in love with this novel. 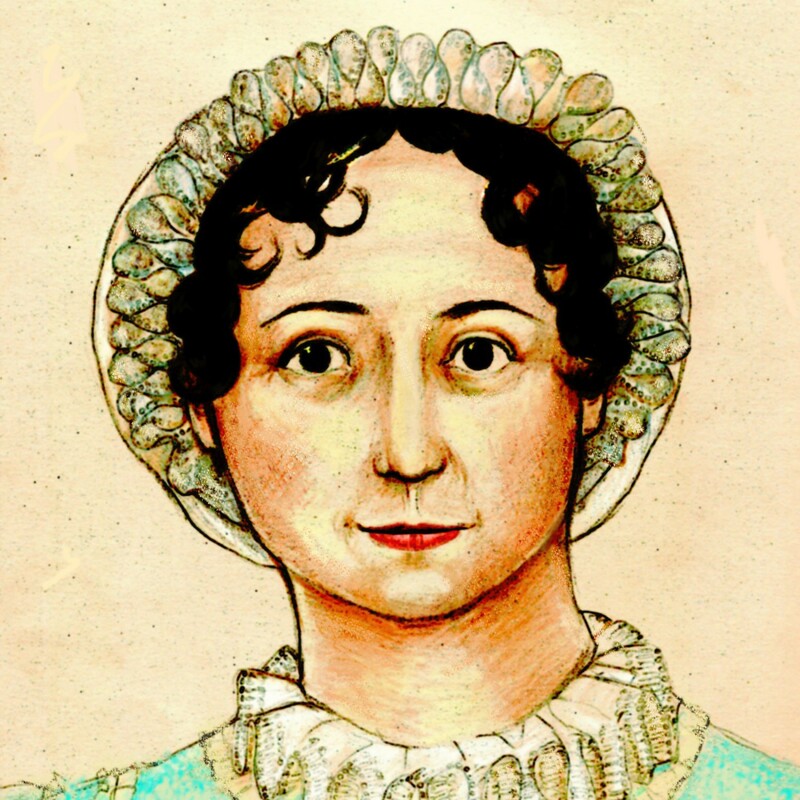 My background is marketing, and I started to do research to find out why so many people liked Jane Austen. One out of a hundred would be good, but I found it was more like one out of two knew the novel. I didn’t realize what an icon Jane Austen was. I read the book in high school and never revisited it. When I decided I was going to do something with the show, I needed to quickly find out who was who in the story, so I rented Bride and Prejudice. I fell in love with it. My mother-in-law is a Janeite and has read the book about 17 times. She has every adaptation. I handed her the script and asked her, “Are we on the right track?” and she said she liked it. I didn’t have enough knowledge to base upon when there were so many people who knew more about it. I asked them, “Tell me what you think,” and they said we captured the essence of Jane Austen’s Pride and Prejudice. There are a trillion adaptation of this beloved novel, but this one was special. I’m not a Janeite but I’m a woman who understands what it’s like to try to do something outside the box, and I became more obsessed with the Jane Austen character being a writer and trying to make decisions on her own, and having her novel rejected and then deciding to go ahead and work on it again and try again to get it published. If you get to the core of what makes a woman a woman and what makes Jane Austen an icon is that she went against the odds and did something amazing, though nobody was out there being her supporter, she was able to create a masterpiece that still exists today. She’s brilliant. The world needs to know that this was not an author who just wrote amazing love stories, this is a woman who was a pioneer, and that’s what inspires me about this play. I became involved in April 2006 and I optioned the show in October 2006. Has the recent ubiquity of Jane Austen in popular culture helped or hindered you, do you think? The amazing thing about this show is that doors open, first of all because the name of the project, and it’s opened doors for me that I never dreamed of–getting Donald Farber as executive producer, Mark Lamos as director. The name got us through the door but the quality of the project got it produced. I never dreamed two years ago that I would be a producer, but I’m a control freak, and I always say “I can do that.” There has been nothing hard about getting this show done because doors opened as a result of Jane Austen and then the quality of the project sold itself. I drive the bus, but the passengers choose to get on. It takes the project and the person selling it to close the deal, but her name opens doors. When I brought Colin Donnell up and had him sing and introduced the project to the 400 most influential people in Rochester, I had people calling me to invest in the show and that never happens. It says a lot for the show, a lot for Jane Austen and a lot for the team I put together. People keep asking me how I did it and I keep saying I’m blessed. What has been the biggest challenge to getting Jane Austen to Broadway? The October 21 event–people said I was crazy and I could never do this but I put my feet firmly into the ground and said we have to do this. We have to get the community where we work involved. I was stubborn and then seeing everything fall into place has been amazing. We have the Rochester Philharmonic Orchestra behind us and the city of Rochester behind us. People thought it was a pipe dream. But once they realized that the vision is clear and I am one hundred percent focused on the goal, people began rallying behind it. It’s been the biggest challenge but also rewarding, to have your community support your dream and take it to Broadway. It’s a dream come true. Now that we’re on the subject, how close is the play to being on Broadway? Should Janeites be making hotel reservations and buying plane tickets for November 2009? We are working on November 2009 and it is so close. We have the Rochester event in October, a workshop in New York in February and then we wait for a theater to open up. We could be open as soon as August, but realistically it’s November. The two things we need are funding, we’re well on our way (but always need support) and theater availability. All the theaters are booked right now. We’re waiting for a show to close, which is really awful. You don’t want a show to fail, but that has to happen to get a place. You’re put on a waiting list. So we have to make sure we’re fully funded. You have to be ready to open in six months and have all your ducks in a row so that when a theater becomes available, you’re first on the list. So we can’t tell the exact date because it’s six months from when the other show closes, and we don’t know when that will happen. What’s left to happen to make it one hundred percent definite? It will happen. It is one hundred percent definite. At this point we are just waiting for a date. For a first-time producer, you’ve done a pretty good job at bringing in experienced and award-winning people such as Donald Farber, the executive producer, and Mark Lamos, the director. Obviously they wouldn’t be involved if they weren’t enthusiastic about the material–but I think it says something about the show that they have become involved. The fact that these people become involved just adds to the credibility of the show. The first show that I’m taking to Broadway has a compelling story. You also get to see a story of a woman doing something out of the box. She went back and rewrote it and tried again even though she was told no. How many times do you do this? She said to herself, “I’m going to go out there and prove them wrong.” That’s what I love about Jane Austen. It’s a parallel of my life. When I told people I was going to produce a show, they said, “Good luck, Lori, keep us posted, are you really going to do this?” I only kept people around who were supportive of my project. Broadway needs some of these shows that are positive. It was a big deal to me when Howard Kissel, a well-known theater critic, said, “You have nothing to worry about.” It’s good to see something new, with the addition of Jane Austen to the story, but Jane Austen fans don’t want to go to a show and be disappointed in the story of the novel. Having Jane Austen herself in it adds a new element to the story. Let’s talk about the October 21 show in Rochester, New York. Tell me all the details! It’s our pre-Broadway red carpet event for Rochester, New York, where Amanda, Lindsay, and I are from. We have the Rochester community behind us with the Philharmonic and it’s our way of giving back to the community what they have given to us. We would not be able to do this without the Eastman School workshopping it, and without Steven Daigle taking it to the Ohio Light Opera. We look forward to people from outside the city coming. It will have a Broadway cast, we are rehearsing in New York, and we are bringing it up to Rochester for one night only and I have spared no expense for this. Is it a full production, or a reading, or a little of both? We are leaving a lot up to the imagination but giving everyone a feel for the show. This is NOT a Broadway production. It’s what is called an encore performance. The director of the Philharmonic will be on stage. There will be minimal sets and costumes, but it’s the full show with all dialog and music. It will be off script. You’ll get a good feel for it. Darcy might be wearing jeans, but from the waist up be in Regency costuming. We are not cutting the show and it will be fully orchestrated with a 16-piece orchestra and give you a good feeling for how it will be when it gets to Broadway. What do you mean by a red-carpet event? Paparazzi, whatever stars we can get here, limos parking out front, and I am working on some big names (can’t say who yet) but anyone you can ever think of who’s been affiliated with Jane Austen, they’ve been invited. Broadway producers, local celebrities. We’re doing casting in New York September 3, 4, and 5 and we have some possibilities, but the only person who has been with us since the beginning is Colin Donnell. I love Colin Donnell and he’s Darcy. He brings something to the character that we’ve been looking for. One of the biggest critics said, “I’ve been dreaming of Darcy since I was 14 years old and Colin brought him to life.” Every adaptation of Pride and Prejudice failed for her in the Darcy role. Colin Firth came close, but even he wasn’t Darcy for her. I thought Colin hit it, but every time he’s ever performed, everybody’s said, “That guy has it.” I hit gold when I got Colin Donnell. We thought that would be the hardest role to cast, and Elizabeth and Jane Austen the easiest, and we found Darcy but not Elizabeth or Jane Austen. He’s brilliant to work with, he wants this role because he lived it. Except he’s not rich and living in Pemberley, but his soul is Darcy and I think it was a role created for him. There’s a reason why things happen. Will the actors from the October show be part of the Broadway cast? Colin Donnell will be part of it. We’re casting for the October event and the February workshop and we would like to take as many people with us to Broadway as we can, but availability changes. But I’m casting for Broadway at this point. I’m working with Tara Rubin, who is a Broadway casting agent. Do you have any plans for out of town or regional previews before opening on Broadway? It’s always an option, but my true feeling is that most of the reason for out of town previews is to built brand recognition and get word out about the show. We don’t need it. It’s Jane Austen’s Pride and Prejudice, we don’t have to explain what it is, whereas other shows that are less well known need it. They need to develop their cult. We don’t need that for Jane Austen. She did it for me 200 years ago. We don’t have to reinvent the wheel. If you put Jane Austen on stage you will sell tickets, and if you create something that lives beyond your expectations, you have the next Les Miz. There are reasons why shows succeed on Broadway and you have to look at your overall marketability and the quality of the show. If you have a built-in fan base and a show that is intelligent, you have what Donald Farber calls the Les Miz formula. Whatever it is, I’m willing to accept it. Do you have any plans to take the show on the road if it does well on Broadway? There you go! It has a life of its own. Are we going on tour? Absolutely! Oh, he totally loves that. He is ready for this show in so many different ways. When I told him he would be performing for 500 Janeites he was giddy with laughter. He’s so talented and he was made for this role. I think he is incredibly talented and he’s humble in his commitment to the role. When women drool over him he kind of becomes a shy little Darcy, he doesn’t know how to deal with it and it makes him even more adorable. He’s not one of those men who is petty. He has his own inner silence that makes him Darcy. I thought he was great at the reading last year. Will any other cast members be at the AGM? And of course Amanda and Lindsay (the co-authors) will be there. The only actor I talked to William Phillips (the AGM co-coordinator –Ed.) about is Darcy, because he’s a sure thing. The roles will be cast by then, but the AGM preview is on October 5 and we go into rehearsals on October 6, so it will be difficult. I would love to bring Elizabeth and Jane as well. Having attended the reading last year, and having been listening to the demo CD ever since, I really think that Janeites will love and embrace this show. How can AustenBlog readers and Jane Austen fans help to get this show to Broadway? Go to the website (prideandprejudicebroadway.com) and find out how you can become part of the journey. You don’t have to be a $10,000 investor, but you can help in ways that are not just financial. Go to the website and ask, “How can I help.” You might know someone who knows someone. If you want to talk to me, I’m available. I’ll come to your hometown and do a presentation. I want people to be part of it. When I started it, I didn’t know anyone, but if you believe in the project, sometimes that’s all you need. It’s not just for rich people. It’s for everybody. Tickets to the October 21, 2008 encore presentation of Jane Austen’s Pride & Prejudice, a Musical Play at Eastman Theatre are $35, $50 and $75 (includes a post-performance reception with performers at Max of Eastman Place). They are available at the Ticketmaster Box Office at 875 East Main Street (Auditorium Theatre), by calling 585-232-1900, or online at www.tickemaster.com. "Every park has its beauty and its prospects"
Quick like a bunny–bid on Jane Austen comic books in Spanish!